Whether you’re a home or business, finding the right water delivery service to fit your needs doesn’t have to be difficult. Using a search engine, it’s quite easy to do research and look into your water delivery options. But once you find the water delivery businesses in your area, how will you decide which company is the best choice? Your concerns should include the quality of the water, the customer service reviews for the business, cost and the needs of your home or business. By comparing these key factors, it’s easy to make a decision on which Colorado Springs water delivery company is going to be the best. When you start looking at water delivery companies and what to compare, it’s important to first take a look at what the needs of your home or business is. There are many different options in terms of what a water company can deliver, and prioritizing wants and needs is something that should be done early on. If you live out in the country or have well water, keeping a storage with purified water is a good idea in case the well water ever becomes non-potable. If you have a large office, coffee delivery might be a good plan as coffee is proven to make employees more productive! Water systems located throughout buildings are nice for companies that don’t have kitchen or water fountain access for guests or workers, and stocking bottled water is nice for a company whose employees may be out in the field or off-site. Homes that have water that tastes or smells may choose to use an at-home purification system or to place a water dispenser in the kitchen. All of these things will need to be evaluated by you before you can look at other options offered by water delivery companies. After you’ve determined the needs of your home or business you’ll really need to research how the water companies you’re comparing purify their water. It’s important for the water to go through rigorous testing. The water should at least meet the quality standards set by the FDA, and ideally they will far exceed those standards. It’s also a good idea to check if the water is compliant with all recommendations by the World Health Organization and the International Bottled Water Association. The water purification systems of the companies you’re evaluating should give you the cleanest, purest drinking water you’ve ever tasted. Customer satisfaction and dedication to providing a superior product should be a big priority for the water delivery company you’re looking into. Even if you just want a simple drop off once a week, it’s important to know the company you’re hiring is reliable and will handle any problems quickly and fair. If you live in Southern Colorado but are just west of town, or even east, it’s also important to know the company cares for the customers and is willing to deliver further than just the city limits of Colorado Springs. Be sure to check review sites to see how the Colorado Springs water delivery companies you’re interested in handle conflicts. Do they immediately take action to fix their mistake or are you stuck out of luck when they accidentally miss your scheduled water delivery. 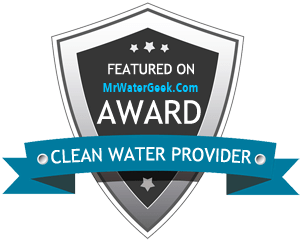 When you depend on clean, purified water to be delivered, it can affect your home life or business if it isn’t, so carefully read through any feedback on the company’s website or on business review sites. Once you’ve narrowed down which companies provide the services you want, meet the purification standards you expect and have positive reviews for their services, it is likely that cost will be the determining factor in which local water delivery service you choose. Take a look at the difference between local companies and national water delivery companies - it’s likely that choosing a local company will save you hundreds, if not thousands, over the course of your service. Check on the company’s billing policy - companies may change their billing prices but if you choose a company who has a guaranteed price, you never have to worry about the prices jumping dramatically during your time as a customer. Find out if drivers are commissioned or not to be sure you are delivered exactly what you need and discuss your equipment with a consultant at the company. If your water delivery is temporary, it makes sense to lease your equipment from the company. If you plan on using the service long-term, buying the equipment may make more financial sense. By talking to the company’s sales team or a consultant, they’ll help you to understand the benefits to each side and make more savings. As you really compare different water delivery companies in Colorado Springs remember one thing - clean, great-tasting water isn’t just a refreshment, it’s a way to keep yourself healthy. By investing in water delivery, you’re investing in your own, and your employees’ healthy! Try to save money as much as you can, but don’t sacrifice your needs, proper purification of the water or the way the company treats you. Look over the options and find the best Colorado Springs water delivery company for you.